His Excellency, President Adama Barrow on Thursday 10th January, 2019, presided over the 18th Cabinet session of his government – the first in 2019 – at the State House in Banjul. Cabinet deliberated on rehabilitation and construction works of the road network and sewage of the City of Banjul, ICT for development, among other important issues. 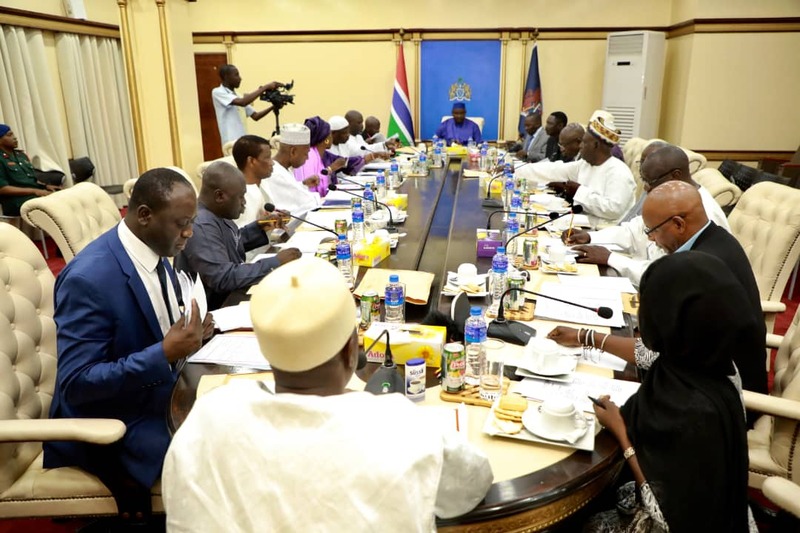 Cabinet deliberated on a paper presented by the Hon Minister of Transport, and Works for the Rehabilitation and Rebuilding of infrastructure in Banjul. The paper addressed a number of issues touching on managerial, financial, and technical requirements needed to enhance the rehabilitation and the rebuilding process. The entire road network of Banjul is approximately 37 kilometers. Cabinet was informed that all of the roads in the capital are in dare need of repair. The planned rehabilitation of the Banjul roads is expected to have a solid base, preferably reinforced concrete to withstand the soft and wet subgrade and the heavy loads of traffic by container carrying trucks. Cabinet was informed that the work will also include the reconstruction of the entire drainage network; as well as reconstruction of the ring canal connected to the drains; among others. 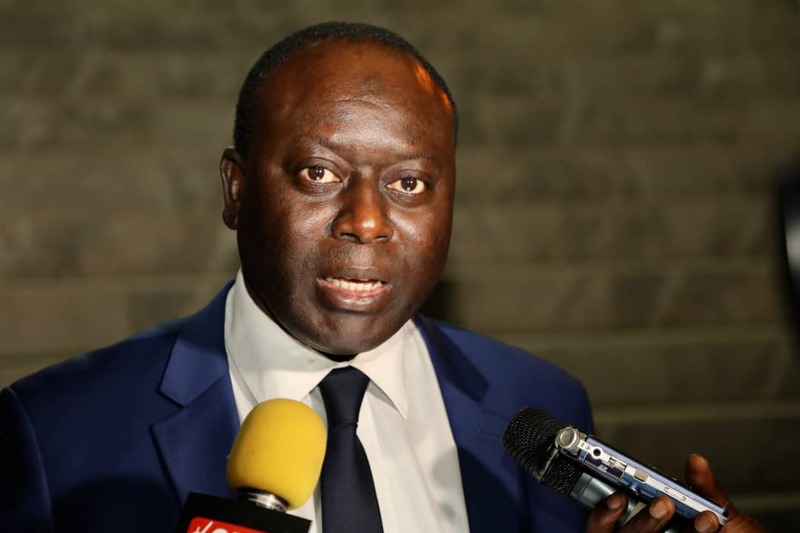 It is expected that the implementation of the program to rehabilitate and rebuild the infrastructure of Banjul shall be done in tandem with the development of the Port of Banjul. Construction works are to start in the early part of 2019. A Cabinet Paper on financing of sports development was also introduced by the Hon Minister of Youth and Sports. The Paper sought the approval of Cabinet to propose a levy on specific items to finance the development of sports in The Gambia. The final Paper introduced before Cabinet was by myself, the Minister of Information and Communication Infrastructure. The Paper sought Cabinet’s endorsement of a policy paper on ICT for Development. The policy paper will serve as a guide for the Road Map for the ICT sector for the period 2018 – 2028. The vision of the ICT For Development Policy is to improve the quality of life and enrich the social, economic, and cultural wellbeing of The Gambian people through the development, deployment and exploitation of ICT within the economy and society to accelerate the nation’s development in the emerging information and knowledge driven technological age. An important goal of the ICT For Development Policy is to utilize ICTs to address the development challenges of The Gambia. Cabinet also reviewed a petition by GRTS demanding that it be allowed access to TRRC hearings to use its own equipment to record and transmit the proceedings of the commission. Cabinet has tasked the Ministers of Justice and Information to further engage both the GRTS and the TRRC to quickly resolve this impasse. Cabinet further resolved that from now on, GRTS should be the first point of call for all state institutions and or subverted institutions in need of live streaming and broadcast except where the state broadcaster does not have the necessary technical capacity to undertake such activities. Kairo News/Radio was born on February 18, 2014. Its ultimate is to inform, educate and entertain people. The team comprises of professionals from diverse fields. Kairo comes to add meaning to Gambian online journalism. It seeks to cover news and current affairs with professionalism and objectivity. Copyright © 2019 — KAIRO NEWS. All Rights Reserved.